As Eiji Miyake's 20th birthday nears, he sets out for the seething metropolis of Tokyo to find the father he has never met. There, he begins a thrilling journey where dreams, memories and reality collide as Eiji is caught up in a feverish succession of encounters by turn bizarre, hilarious, and shockingly dangerous. But until Eiji has fallen in love and exorcised his childhood demons, the belonging he craves will remain just beyond his grasp. 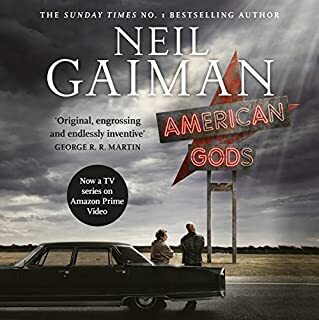 An apocalyptic cult member, a jazz buff in Tokyo, a woman on a holy mountain, a burnt-out lawyer, a Mongolian gangster, a redundant spy, a despondent "zookeeper", a nuclear scientist, a ghostwriter, a ghost, and a New York DJ are all tenuously connected. All of them have tales to tell, and all must play their part as they are caught up in the inescapable forces of cause and effect. Imagine a nation banishing the outside world for two centuries, forbidding its subjects to leave its shores on pain of death, and harbouring a deep mistrust of European ideas. 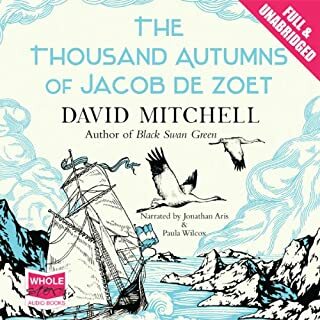 Set in Japan in 1799, a young Dutch clerk, Jacob de Zoet, is about to embark on a strange adventure of duplicity, love, and murder - and all the while the axis of global power is turning. One summer's day in 1984, teenage runaway Holly Sykes encounters a strange woman who offers a small kindness in exchange for 'asylum'. 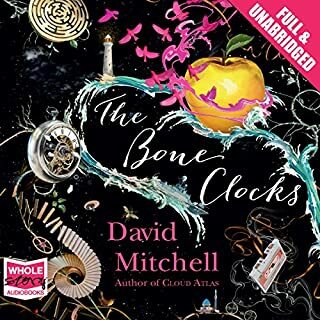 Decades will pass before Holly understands what sort of asylum the woman was seeking.… The Bone Clocks follows Holly's life: not so far out of the ordinary, yet punctuated by flashes of precognition, visits from people who emerge from thin air, and brief lapses in the laws of reality. Longlisted for the Man Booker Prize, 2006. Shortlisted for the Costa Book Awards, 2006. Shortlisted for the Commonwealth Writers' Prize, Best Book, 2007. 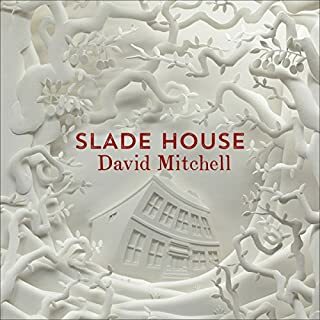 David Mitchell comes home to England, 1982, and the cusp of adolescence. Jason Taylor is 13, doomed to be growing up in the most boring family in the deadest village (Black Swan Green) in the dullest county (Worcestershire) in the most tedious nation (England) on earth. And he stammers. didn't have all the book?!?!? 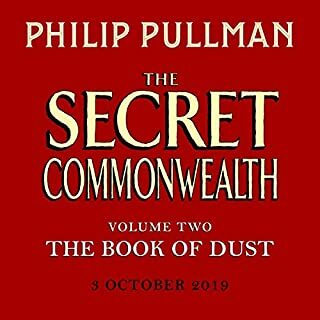 The second volume of Sir Philip Pullman’s The Book of Dust sees Lyra, now 20 years old, and her daemon Pantalaimon, forced to navigate their relationship in a way they could never have imagined, and drawn into the complex and dangerous factions of a world that they had no idea existed. Pulled along on his own journey too is Malcolm; once a boy with a boat and a mission to save a baby from the flood, now a man with a strong sense of duty and a desire to do what is right. Known as ‘The Father of Science Fiction’, Herbert George Wells’ writing career spanned over 60 years. He was a writer of novels, short stories, nonfiction books and articles. As a young man, Wells won a scholarship to the Normal School of Science in London, sparking his infamous vocation as a science fiction writer. 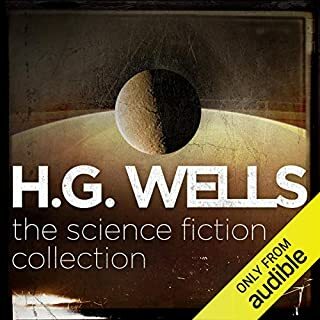 Introduced by film director and H. G. Wells fanboy Eli Roth, this collection features unabridged recordings of the novels performed by Hugh Bonneville, Jason Isaacs, Sophie Okonedo, David Tennant and Alexander Vlahos. The year is 1984 and the city is Tokyo. The images, ideas, sounds, and scents that abound in this phantasmagoric sideshow are provocative and powerful: the mournful cries of celestial travelers cast out cruelly into a vast, empty space of stars and blackness; the sight of grey dust settling over a forgotten outpost on a road that leads nowhere; the pungent odor of Jupiter on a returning father's clothing. Here living cities take their vengeance, technology awakens the most primal natural instincts, Martian invasions are foiled by the good life and the glad hand, and dreams are carried aloft in junkyard rockets. Margaret Atwood's classic novel, The Handmaid's Tale, is about the future. 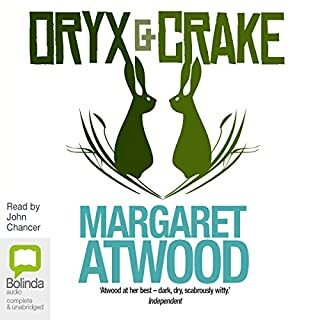 Now, in Oryx and Crake, the future has changed: it's much worse. The narrator of this riveting novel calls himself Snowman. When the story opens, he's sleeping in a tree, wearing an old bedsheet, mourning the loss of his beloved Oryx and his best friend Crake, and slowly starving to death. Tudor England. Henry VIII is on the throne, but has no heir. Cardinal Wolsey is charged with securing his divorce. 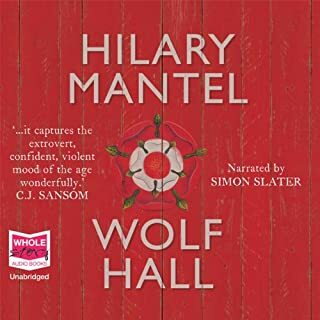 Into this atmosphere of distrust comes Thomas Cromwell - a man as ruthlessly ambitious in his wider politics as he is for himself. His reforming agenda is carried out in the grip of a self-interested parliament and a king who fluctuates between romantic passions and murderous rages. Stories mould who we are, from our character to our cultural identity. They drive us to act out our dreams and ambitions, and shape our politics and beliefs. We use them to construct our relationships, to keep order in our law courts, to interpret events in our newspapers and social media. 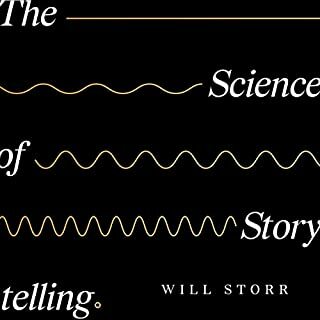 Storytelling is an essential part of what makes us human. Shadow Moon has served his time. But hours before his release from prison, his beloved wife is killed in a freak accident. Dazed, he boards a plane home where he meets the enigmatic Mr Wednesday, who professes both to know Shadow and to be king of America. Together they embark on a profoundly strange road trip across the USA, encountering a kaleidoscopic cast of characters along the way. Yet all around them a storm threatens to break. Thousands of years ago, Earth’s terraforming program took to the stars. On the world they called Nod, scientists discovered alien life – but it was their mission to overwrite it with the memory of Earth. Then humanity’s great empire fell, and the program’s decisions were lost to time. Aeons later, humanity and its new spider allies detected fragmentary radio signals between the stars. They dispatched an exploration vessel, hoping to find cousins from old Earth. But those ancient terraformers woke something on Nod better left undisturbed. And it’s been waiting for them. The year is 2021. No child has been born for 25 years. The human race faces extinction. Under the despotic rule of Xan Lyppiat, the Warden of England, the old are despairing and the young cruel. Theo Faren, a cousin of the warden, lives a solitary life in this ominous atmosphere. That is until a chance encounter with a young woman leads him into contact with a group of dissenters. Suddenly his life is changed irrevocably as he faces agonising choices which could affect the future of mankind. The smartest murder-mystery you will ever hearA misfit at an exclusive New England college, Richard finds kindred spirits in the five eccentric students of his ancient Greek class. But his new friends have a horrific secret. When blackmail and violence threaten to blow their privileged lives apart, they drag Richard into the nightmare that engulfs them. And soon they enter a terrifying heart of darkness from which they may never return. 'Somebody's going to be murdered at the ball tonight. It won't appear to be a murder, and so the murderer won't be caught. Rectify that injustice and I'll show you the way out.' It is meant to be a celebration, but it ends in tragedy. As fireworks explode overhead, Evelyn Hardcastle, the young and beautiful daughter of the house, is killed. But Evelyn will not die just once. Until Aiden - one of the guests summoned to Blackheath for the party - can solve her murder, the day will repeat itself over and over again. Complex but Brilliant. A Classic in the making! Shortlisted for the Man Booker Prize, 2004. Winner of the British Book Awards, Richard and Judy Best Read of the Year, 2005. A reluctant voyager crossing the Pacific in 1850; a disinherited composer blagging a precarious livelihood in between-the-wars Belgium; a high-minded journalist in Governor Reagan's California; a vanity publisher fleeing his gangland creditors; a genetically modified 'dinery server' on death-row; and Zachry, a young Pacific Islander witnessing the nightfall of science and civilisation; the narrators of Cloud Atlas hear each others' echoes down the corridor of history, and their destinies are changed in ways great and small. In his extraordinary third novel, David Mitchell erases the boundaries of language, genre and time to offer a meditation on humanity's dangerous will to power, and where it may lead us. Click here to see all the titles in our Radio & TV Book Clubs collection. Miscast. Hacked the book to pieces. Read in full. This abridged version doesn't come close to doing justice to the actual book. 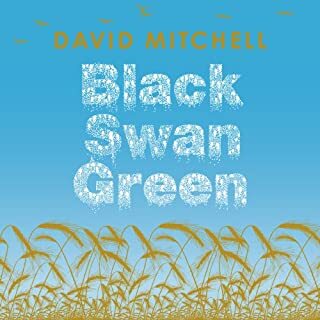 The core storyline is there but most of Mitchell's fine writing and nearly all of the subtleties in humour are lost. There are some very talented readers (for Cavendish and Zachry) but others might make you feel uncomfortable; some are poorly cast indeed. 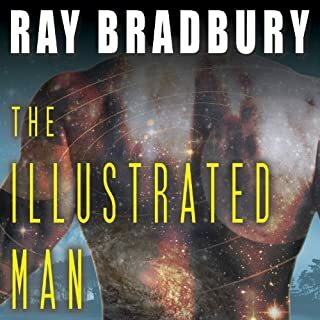 If you are truly interested in the story, read the book or wait for the unabridged version-- which might be better done if it was one person reading (not trying to act) throughout. 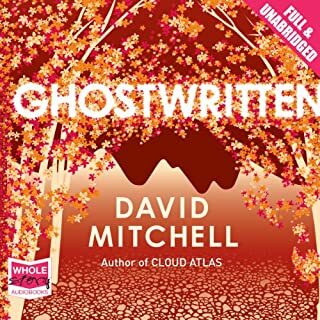 This is an incredible work of fiction and so much of its brilliance lies in Mitchell's way with words. Don't be short-changed by this version that is overly reductive and fails to capture the nuances of a truly great work. I loved this book. 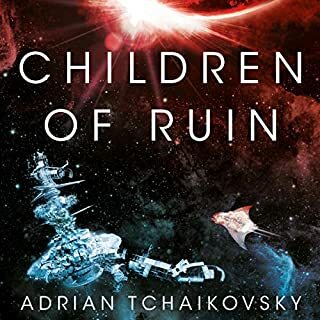 Its structure is interesting with its interconnecting narratives, and the use of different actors really helps to delineate these clearly. It's so great to read a book that really demonstrates a breadth of imagination and style way beyond anything that I could come up with myself. Luisa Rey a compelling story, Robert Frobisher the most wonderfully flawed cad, Timothy Cavendish's desperate plight hilarious. Sloosha (apologies for spelling, know it must be wrong!) the only one that bemused me, I'll revisit it - certainly easier to grasp in audio than written version. 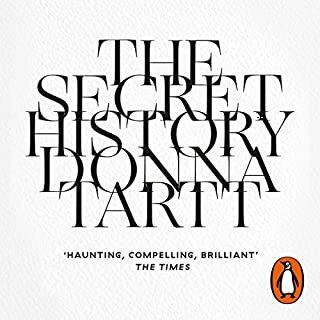 Anyway, if you like short stories this is a must, as it develops the genre further and tells them in ways which make you think about them long after you have finished reading. Always entertaining, by turns witty, alarming, uplifting, shocking, moving - a great read! 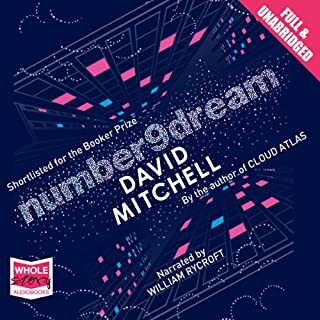 Where does Cloud Atlas rank among all the audiobooks you’ve listened to so far? It was engaging and thought provoking and a story that kept me both intrigued and committed until the end . They were all so different that it is impossible to identify a particular scene . 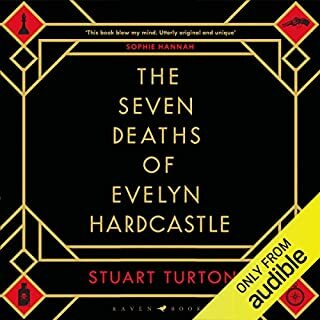 I highly recommend you to at least give this audio book a go. I decided to give this a listen before going to see the film but after listening to it gave the film a miss. Although interesting to begin with the jumping timelines and characters began to grate towards the end. 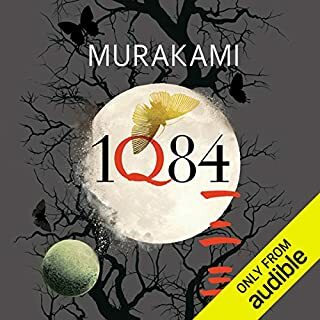 The multiple narrators used for different characters also seemed good to begin with but in the end just became annoying, The story was good but I don't think I will be giving it another listen and will wait until the film is on TV. Nice idea fairly well written and well read. I think I woudloffer it a 3.5. It just lacked the untimely quality I was expecting. But worth a listen or read. This was a difficult book to read, hearing the different chapters and the different people made it much easier to understand. What disappointed you about Cloud Atlas? As I started reading, I realised this was the abridged version. I always read the full version. Unfortunately, the unabridged version is not available where I live, so I had to buy the book. Didn't get around to reading it in time to return it. My fault for not checking. Have since read the book & it was amazing - I can only imagine that anyone reading the abridged version wold be totally confused, as many people who watched the movie without reading the book were. Did the narration match the pace of the story? You didn’t love this book... but did it have any redeeming qualities? I didn't finish reading it so, cannot comment. Very artsy farsty, with hidden meaning everywhere. The individual stories at some points where confusing, and then to mesh them together, it just didn't work for me. I loved The Thousand Autumns so I was disappointed with this. 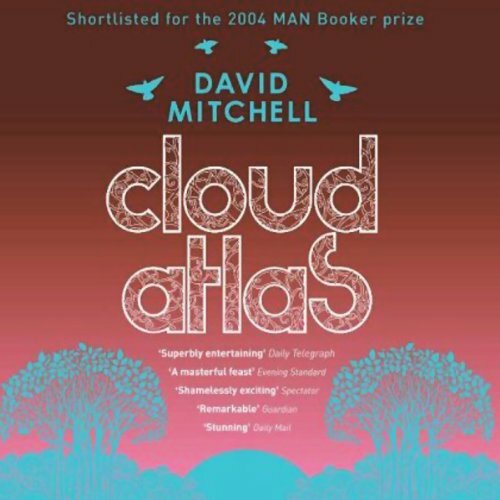 Would you consider the audio edition of Cloud Atlas to be better than the print version? I read the book years ago, so this was my second time around. 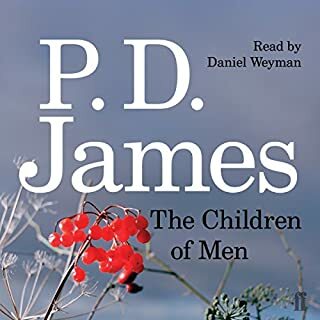 The audio edition was brilliant, as the novel contains 6 stories folding in and then out of each other and having each story's narrator voiced individually really brought each one to life in a unique way.